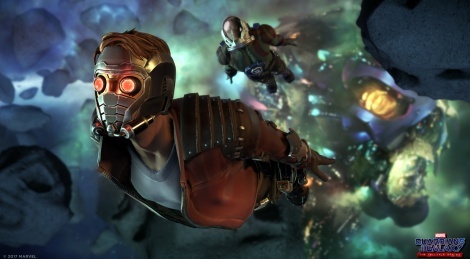 Telltale Games and Marvel Entertainment have revealed the first images of Marvel's Guardians of the Galaxy - The Telltale Series. 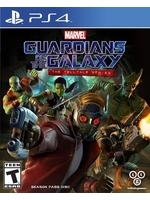 Regarding the voice cast, the title features Scott Porter (Friday Night Lights, The Walking Dead: The Telltale Series) as Star-Lord, Emily O'Brien (The Young and the Restless, Middle Earth: Shadow of Mordor) as Gamora, Nolan North (the Uncharted series, Pretty Little Liars) as Rocket, Brandon Paul Eells (Watch Dogs) as Drax, and Adam Harrington (The Wolf Among Us, League of Legends) as Groot. The series will premiere this Spring as a digital download and as a special season pass disc. Guess they got that Disney money now. Finally updating their engine to look like a modern day game.